Welcome to the Southern pearl of Morocco! Marrakech is one of the most popular cities of Morocco – and for good reason. 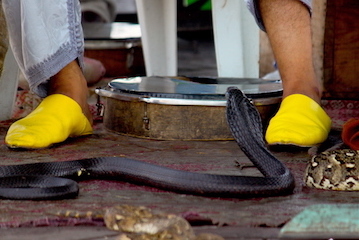 There is an abundance of things to see, smell and experience in Marrakech! It is a vastly diverse city with amazing history. Your Marrakech medina tour will start with being picked up at your hotel/riad by your private accessible transport driver. Throughout your tour you will discover the Palace of the Bahia, the Saadian Tombs, and many other hidden treasures. After lunch, you will continue with an exploration of the diverse souk (market) of Marrakech, enjoying the smells of exotic spices and visual feast of textiles and artisan treasures of Morocco. 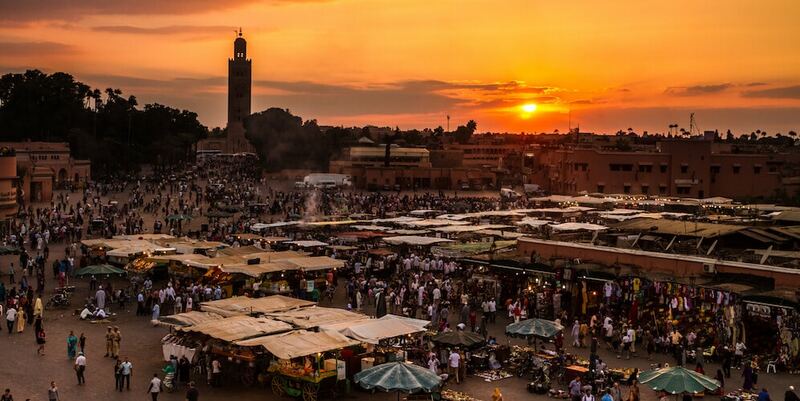 Finally, end up at Djemaa el-Fna, the famous center square of the Marrakech medina. Coming alive at night with the local storytellers, entertainers, and mouth-watering barbecue pits the square is well worth a visit. The Marrakech Medina is a much more accessible medina than many others in Morocco. There are certainly inaccessible areas of the medina but it is flat and accessible in the majority of the tour route. Our wonderful guides are familiar with our specific desired routes that allow for barriers to be reduced and in many cases, eliminated. 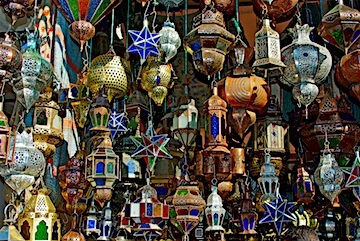 Th Marrakech Medina Tour excursion is approximately 3-4 hours long. Time includes driving, medina tour, and lunch.